Microsoft has just updated its OneNote iOS application to support iPad as well. This is Microsoft’s note-taking app originally offered with Microsoft Office in 2003 bundle. It is now compatible with the devices supporting iOS 4.3 or later, including iPads.OneNote was the only application available on iOS devices before the recent announcement of SkyDrive for iPhones. 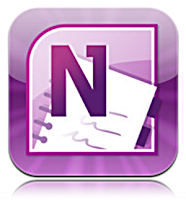 In January 2011 Microsoft has released its first version of OneNote app for iPhones. As for now, latest version of OneNote, which runs on iPad, makes full use of the tablet’s larger screen with larger pages that can accommodate iPod’s features better. The improved OneNote supports more languages, a tabbed user interface, table rendering and the option to sync notes over Wi-Fi. According to Microsoft, the application is free “for a limited time” and capacity as well- you are restricted to 500 notes. If you have more than 500 notes, you can still view them but you will not be able to edit or create new ones. Unlimited notes cost $4.99 for an iPhone and iPod Touch, as for iPad, price of the application is $14.99. How do you think, will such actions lead to partnership between the companies, or has Microsoft decided to increase its revenues via Apple?